Ovid. De arte amandi et De remedio amoris. 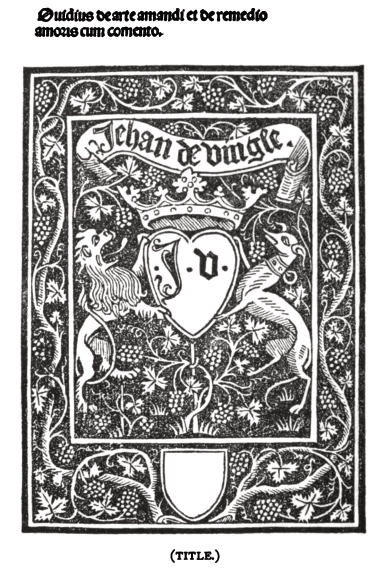 Lyon: Jean de Vingle, 1495. Provenance: Morris. — Richard Bennett. — J. Pierpont Morgan. — Morgan Library (ChL1585). References: Ellis valuation, fol. 39 (15s.). — ISTC (io00146000). — Morgan Catalogue 3, no. 614.